Helping you hear your best is what we do. At the Pennsylvania Ear Institute (PEI), the goal of our doctors is to provide children and adults who have hearing and balance concerns with unsurpassed hearing healthcare and solutions that will improve their quality of life. We offer hearing solutions for children and adults that include comprehensive hearing healthcare and services that utilize the state-of-the-art diagnostic and rehabilitative tools needed for the detection and management of hearing loss. We offer balance solutions that include advanced studies rarely found at other area facilities to determine the cause and optimum treatment of balance disorders. The doctors at PEI all hold Doctor of Audiology (AuD) degrees and are specialists in diagnosing vestibular disorders (disorders of the body’s balance system), most of which can be treated successfully. 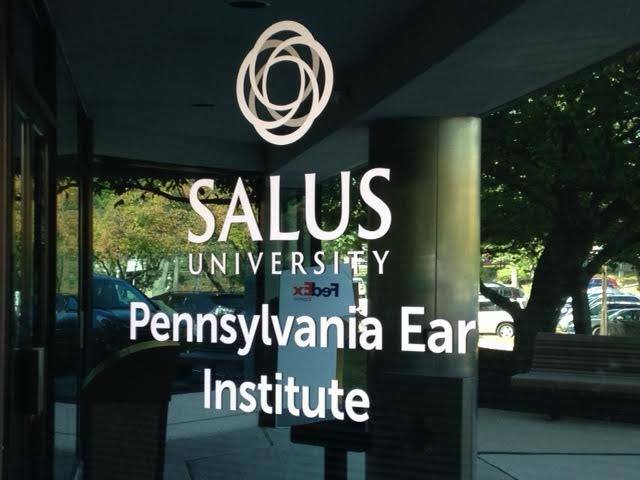 We are the clinical facility for the Salus University Osborne College of Audiology and our staff are members of the Osborne College faculty. The Pennsylvania Ear Institute balance department offers some of the most advanced technology in the region to determine the nature of the balance disorder and make appropriate referrals. An audiologist is the professional who specializes in evaluating and treating people with hearing loss and balance disorders. Audiologists have extensive training and skills to evaluate the hearing of adults, infants and children of all ages. Audiologists conduct a wide variety of tests to determine the exact nature of an individual's hearing problem. Audiologists present a variety of treatment options to patients with hearing and balance impairments. Audiologists dispense and fit hearing aids, administer tests of balance to evaluate dizziness, and provide hearing rehabilitation training. Audiologists refer patients to physicians when the hearing problem needs medical or surgical evaluation.